A great writer is gone. At 91 he'd had a good innings, possibly achieving longevity through a macrobiotic diet. The obituaries in the broadsheets and online dailies have made fascinating reading. Obituarists can't be seen to say the same thing as the next guy so have to dig for ever more recondite info to flesh out their subjects. 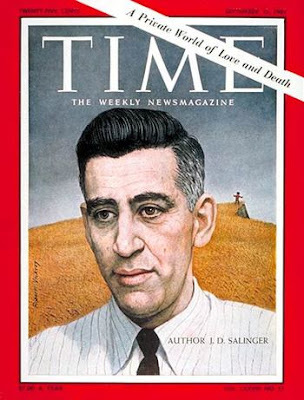 Did you know that Salinger was a bit of a practical joker? He would wet his fingers with water and then pretend to sneeze behind someone while flicking the water at the back of their neck. A good wheeze, but timing is everything. On the subject of spit he used to refer to his first wife Sylvia, a German woman said to have been a Nazi, as 'Saliva.' In some versions she is French. When a major writer leaves the planet there is the usual rush on Ebay to capitalise. Within hours of his death being announced a signed typed letter had gone up as a Buy it Now at $2000. 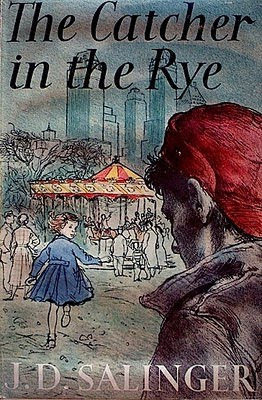 It was from Salinger to one "Madeline" in New York asking her to 'please stop sending requests for an interview.' Not a bad price and it sold within minutes to the fastest finger. Meanwhile someone wants a risible $36000 for an unprovenanced and distinctly dodgy plain signature on an envelope. It does not pass the 'blink' test. Another less greedy entrepreneur wants $2500 for a USPS delivery confirmation signature from 1997. A hurried and untypical signature but probably genuine. This must be a wily autograph dealer trick - you send your famous person (say Pynchon, Dylan, Marquez) a parcel containing something of obvious value and request signature confirmation and make sure you get the original returned to you. With Salinger there are about a dozen signed typed letters for sale on various online malls from $5000 to $15000 and I suspect that many more will now come out ( he appears to have been a fairly voluminous correspondent). Holders of autograph material may have been afraid to sell because of JD's litigiousness, presumably this threat is gone or has diminished. Kerouac, man. Get with the program! Oh, how I hope they burn any extant unpublished writings. I'd hate to see him suffer the same fate as dear old V. Nabokov.